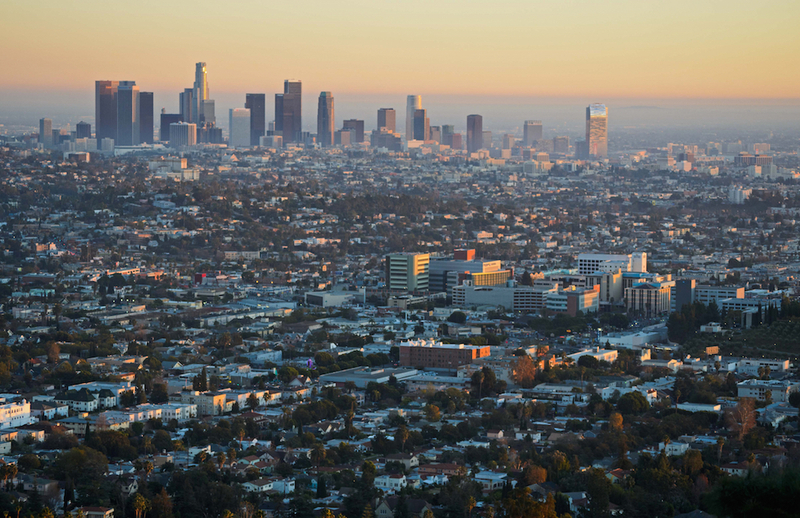 At last estimate, Los Angeles’ population topped 3.9 million. In 1850, when the city was first incorporated, approximately 1,600 people lived here. In the last 165 years L.A.’s size and population have changed in almost every conceivable way. But this growth hasn’t been accompanied by growth in our aspirations for being represented by public officials who know us and our concerns firsthand. Indeed, our aspirations in this political arena—our aspirations to be fairly represented and to prevent the concentration of power—may have atrophied. Los Angeles, through so much change, stubbornly remains a place designed to defeat those who might accumulate power and wield it. Since the city’s first charter was put into effect in 1889, Angelenos have set up a system of government based on the desire to contain and diffuse power, and to protect ourselves from officeholders. The result is that it has long been hard to tell who is in charge. Power is purposefully spread out between the mayor, the city attorney and the city controller, and the 15-member city council. Los Angeles first created a council and office of the mayor in 1850. Decades later, the 1889 charter established the practice of electing a city councilmember to each of nine wards. 1909 marked the beginning of at-large elections in Los Angeles and of non-partisan elections, in which candidates are elected without regard to their party preference. Both changes were largely reactions to widespread corruption and distrust of party politics, two sentiments that persist more than a century later. At-large elections, in which officials were elected to represent the entire city, not one district, continued for 16 years and non-partisan elections continue to this day. Voters approved significant changes to the charter in 1925; the charter did away with at-large elections for the nine city council members and created a 15-member city council in which each member is elected to represent one district. Ninety years and 3 million more people later, today’s government still resembles that 1925 version. At the time, approximately 600,000 people lived in the city of Los Angeles, and each councilmember represented about 40,000 residents. Today, each councilmember represents 260,000 Angelenos—about 6 ½ times the number a councilmember represented in 1925. The city council attempted to make bold changes to the charter in the early 1970s, but all they succeeded in doing was adding power for one group of officials and taking it away for others. In 1999, at the end of a decade in which city government seemed powerless in response to riots and the San Fernando Valley sought to secede from the city, L.A. city voters approved a charter that strengthened the power of the mayor and created a system of neighborhood councils in an effort to increase civic participation across the city. It was largely an acknowledgment of L.A.’s size and diversity. It was also a concession that 15 city councilmembers could not be appropriately responsive to the needs of such a large city. At the time, city councilmembers each had approximately 240,000 residents in their districts. But the voters rejected measures to give themselves more representation and enlarge the size of the city council. Angelenos were apparently united in their desire not to increase the number of our elected officials, a desire that remains firmly in place today, 16 years after we comprehensively reformed the charter. It’s enough to make one ask whether Angelenos have any aspiration for political representation at all. Los Angeles currently has the highest councilmember-to-resident ratio in the country and one of the lowest percentages of voter turnout in local elections. In our most recent city elections, approximately 9 percent of those registered to vote did so. In the election prior to that, in 2013, just over 20 percent of registered voters showed up to the polls despite a competitive mayoral election. And less than half of eligible voters bother to register. That means a city councilmember can be elected with about 13,000 votes—just 5 percent of their district. Angelenos have created a “voting class” which picks our representatives for us. Ironically, a city built and structured on a distrust of power is ceding an enormous amount of power to those few people who choose to weigh in on local elections. Many Angelenos may say they want elected officials to represent us fairly and be responsive to our needs. But how can they do this well when each member represents over a quarter million residents? And why should they when they know only a small segment of those residents will determine whether they can keep their jobs? As we created and later reformed our system of city government, we worried about putting too much power in any one individual or governing body. Now, as a result of our own apathy, we have put too much power in a select few. It’s past time for Los Angeles to put a new aspiration on the agenda—more and better representation in the life of the city. And that requires increasing the number of politicians in local government. It may also require looking at other ways to increase voter turnout, like automatic voter registration (which was just passed on the state level), implementing early voting, and creating voter centers that are open for weeks before an election. It is time for at least a few of the people in office to know our names. Jessica Levinson is a professor at Loyola Law School where she studies election laws and political reform issues. She also serves as the president of the Los Angeles Ethics Commission. This essay is part of Is L.A. Still a City of Big Dreams?, a project of Zócalo Public Square.